Electronic Arts has officially launched their newest digital edition of money earning plans for their core gaming audience: EA Sports Season Ticket. For $24.99 a year, PlayStation 3 and Xbox 360 owners will be able to land early, discounted and premium content for five of EA’s banner sports titles. While you may be grumbling something about EA’s move to squeeze more money out of gamers, recognize that Moore pretty much highlights exactly who this offer is meant for. 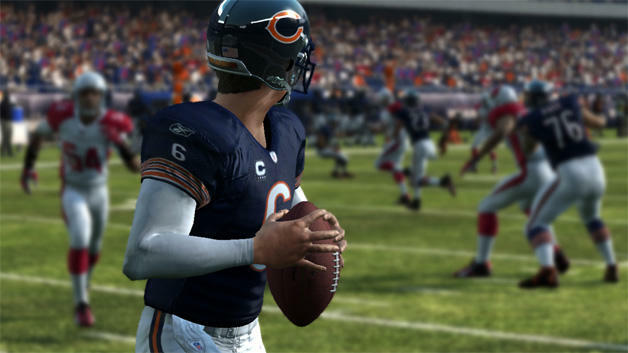 EA Sports Season Tickets should be bought exclusively by diehard sports game fans. You know the type; they pretty much live their gaming lives with the latest edition of FIFA or Madden constantly sitting in their console trays. This isn’t for gamers patient enough to wait for launch day. The only awkward bit of this news is the early game access portion. Yes, with the Season Ticket you’ll be able to download each game three days early. But that digital version expires (self-destructs?) once the retail version is available in stores. In order to keep playing, you’ll need to go out and buy a copy of the game. Your trophies and achievements transfer. What do you think of this new offer?